Equipped with the latest in education, tools and technique, find out how it feels to combine the inspiration/motivation of a signature Energy class with one-of-a-kind training designed specifically for you! Break the norm. Training at Energy is completely different than traditional personal training. With a dedicated team of fitness professionals in group fitness, Pilates, yoga, personal training, barre, sculpt and cardio conditioning, Energy boasts a unique personal training program which combines over 80 years' of trainer experience. Personal Training Packages have expiration dates. 24 hour cancellation policy. ​your first session is free! Personal training with Debra is unlike anything you've ever experienced before, we can promise you that. ​Debra has over 35 years of teaching & training experience and is the owner and operator of Energy Pilates Fitness Yoga in Woodbury, MN. She is a Certified Athletic Trainer, Master Group Fitness Instructor, Maternity Instructor, PNF Specialist, Myofascial Release specialist, Pilates Mat, Pilates Reformer and Pilates Chair Certified Trainer. Debra is also an ACE Health Coach with Epigenetic Endeavors, Personalized Lifestyle Medicine. "I have been exercising my entire life, but nothing has changed my body like Pilates and personal training with Debra. After having twins, I could not lose those last 10lbs, but then I found Debra! Her style of training is energizing and upbeat. I am happy to say I have lost those ten pounds, plus feel very fit and toned." "Training with Debra is great and educational. I'm in my 50's so keeping my body flexible and strong is important for me. After my first five sessions I was already seeing a loss in inches and increased strength. I'll be training with Debra for a long time to come." Certified Pilates Mat Master Trainer! Nancy's specialty is all matters "core." She is available for private training or Small Group Personal Training with the Pilates Arc. ​Per our Medical Director, Dr. Julie England, "Nancy's style of teaching and training for the core is recommended for every person to try. To understand and strengthen your core changes how you use your whole body. No one is better." 'Nuff said. "Everyone at Energy is upbeat and positive and it’s a very supportive environment! I knew I was at the right place right away! I love the personal training sessions with Nancy. She is a very positive coach, great listener and is very motivating. I appreciate how much preparation and effort she puts into the sessions for me. She really targets what I need to work on to get the best results, she is flexible during the session if I have questions & always has a solution that works. I am seeing great results and making a lot of progress that I wouldn’t have on my own. I am so happy that I found Energy and Nancy. I highly recommend Energy to everyone." 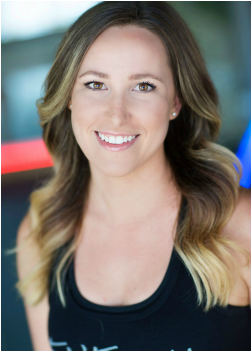 - Diana W.
A lifelong dancer, gymnast, and fitness enthusiast, Jenny took advantage of a Groupon offer to try out energy… eventually becoming a group fitness instructor, personal trainer, private gymnastics coach, all-around wonderful co-worker and friend! Jenny has a passion for holistic health and wellness (she always smells like Aveda) and her toned bod is sure to motivate you to do another set of reps! Would you like to lower your stress levels, reduce symptoms of anxiety or depression, and find greater resolve all while working out? ​Samantha can help make it happen. As a yoga and meditation teacher, she is devoted to helping her students find steadiness and comfort in every posture, no matter their age or ability level. In addition to fat burning, muscle toning asana, Samantha teaches simple and practical breathing and meditation techniques you can use as you move through your life off the mat.